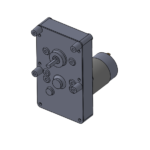 Rex Engineering manufacturers DC powered gearmotors in many configurations. 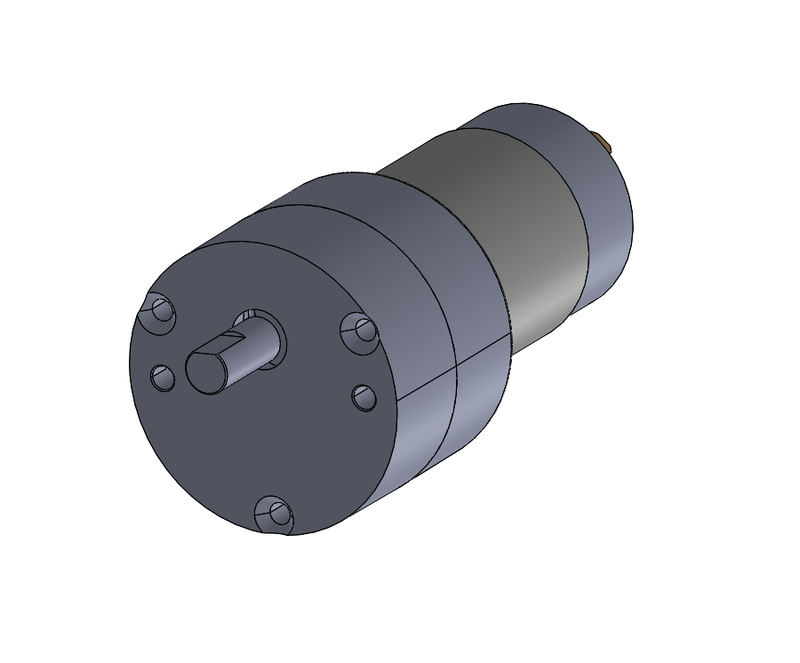 We will customize the speed, operating voltage, torque carrying capacity, shaft design, etc., doing whatever it takes to get your design moving! 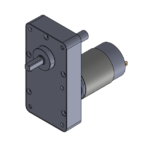 The motors on this page use permanent magnet motors. 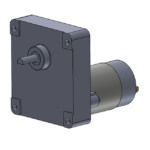 We also offer Brushless DC motors, which have more advanced capabilities. 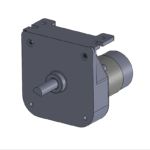 Our permanent magnet DC powered gearmotors are simple and reliable. Connect DC power and they are running! 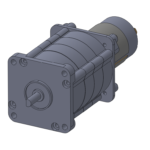 If you would like to control the direction of rotation and the motor speed, these motors respond well to inexpensive controllers. 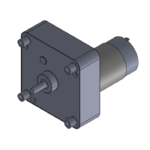 Encoders are available to monitor motor speed, direction and position. The voltage range is from 6-30 VDC. Most have EMI filters to greatly reduce electronic noise emissions. 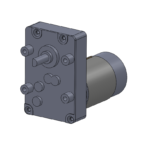 Just like in our AC powered motors, the gearboxes are permanently lubricated with synthetic gear grease. 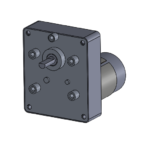 The gearing material is steel, although some plastic parts can be used for lower noise and only if the loading is light. 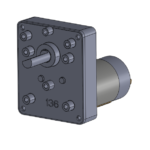 The output shafts can be custom made to your specs, but we also keep many common designs in stock. They can be case-hardened, and are supported in your choice of bushings or needle-bearings. 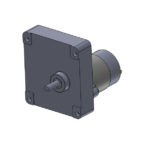 Accessories include linear motion, cams and limit switches, slip-clutches and custom wire termination or wire harnesses. Click on the photos to see a PDF file with dimensions. 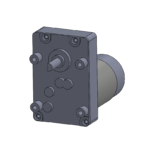 You can request a 3D solid model in SolidWorks, STEP, STL, or IGES format.